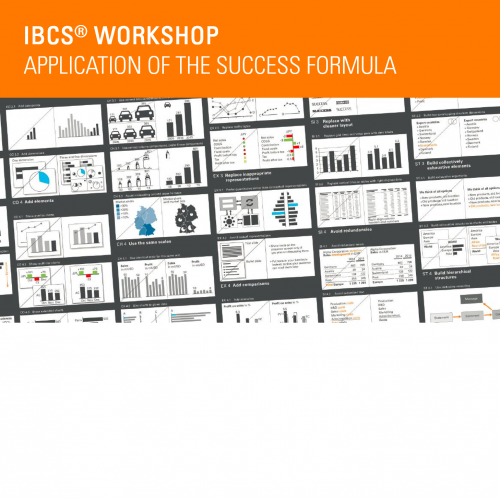 Supplementary two-day workshop on the practical application of the IBCS® SUCCESS formula. Deepening the 98 conceptual, perceptual, and semantic rules for easier creation and better understanding of reports and presentations. With numerous practical examples and exercises. Participants can take part in a subsequent test to earn the 'IBCS® Certified Analyst' certificate. 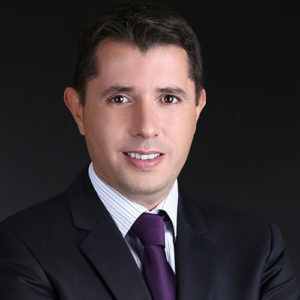 The main objective of this workshop is enabling the participants in applying the SUCCESS formula of IBCS® to their own reports and presentations. Participants of this workshop have already attended the introductory IBCS® with SUCCESS training. Unless otherwise stated, the attendance fee is EUR 1,985 plus VAT. Participants booking the IBCS® workshop in a bundle with an IBCS® with SUCCESS training benefit from a reduced package price. After the workshop you can take an online exam for getting the certificate ‚IBCS® Certified Analyst‘. There is a playground test with 10 access codes for learning purposes available. On all days there is lunch together at 12:30. Snacks and refreshments are served in coffee breaks at around 10:30 in the morning and 15:00 in the afternoon. After day one you are invited for an Apéro – a kind of small reception, at which snacks and refreshments are served. I would like to register for the seminar "IBCS workshop". Jürgen easily captured the 100 participants of our one-day training in Istanbul through his humorous and conclusive style paired with profound expertise. I owe Jürgen a big thank for a very interesting and well-hosted seminar. For me an absolute highlight.